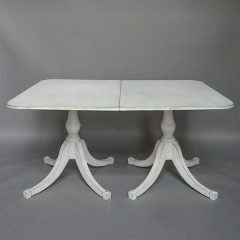 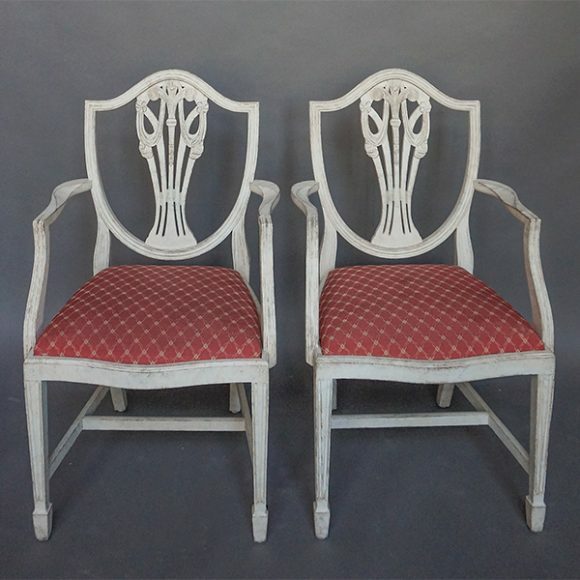 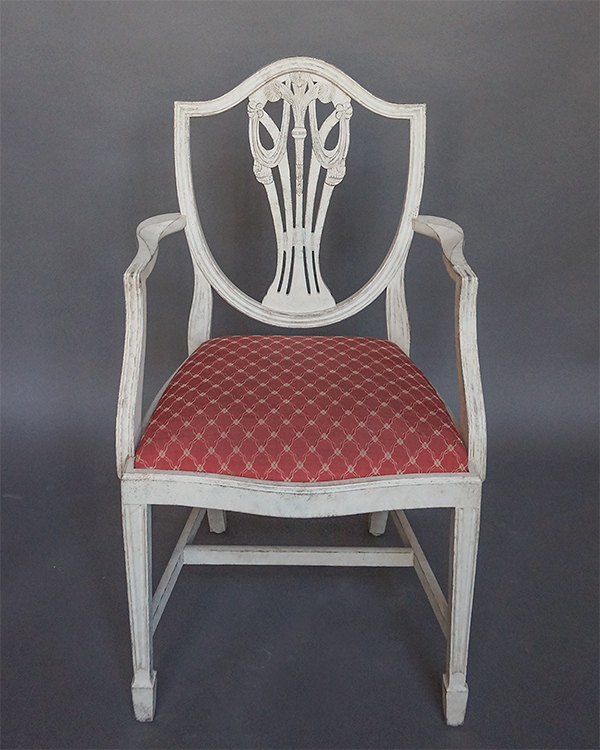 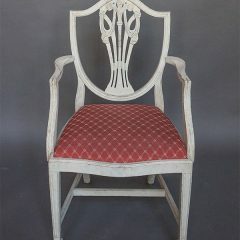 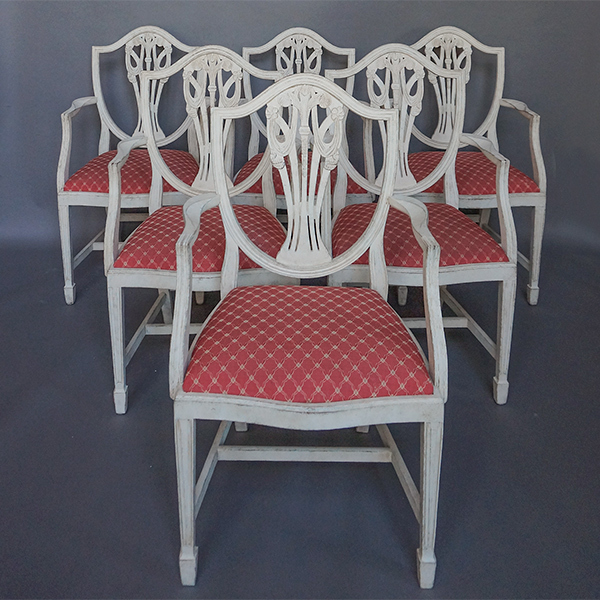 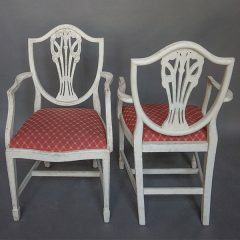 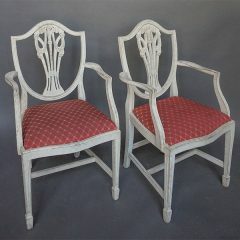 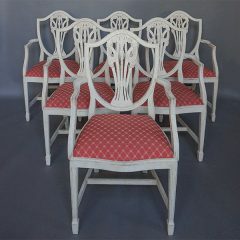 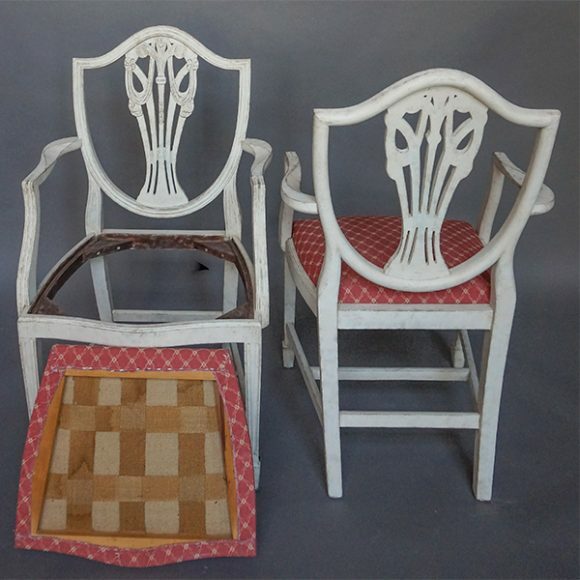 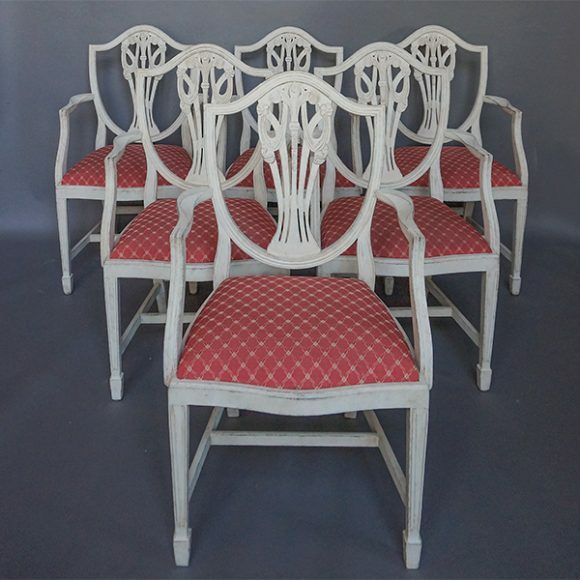 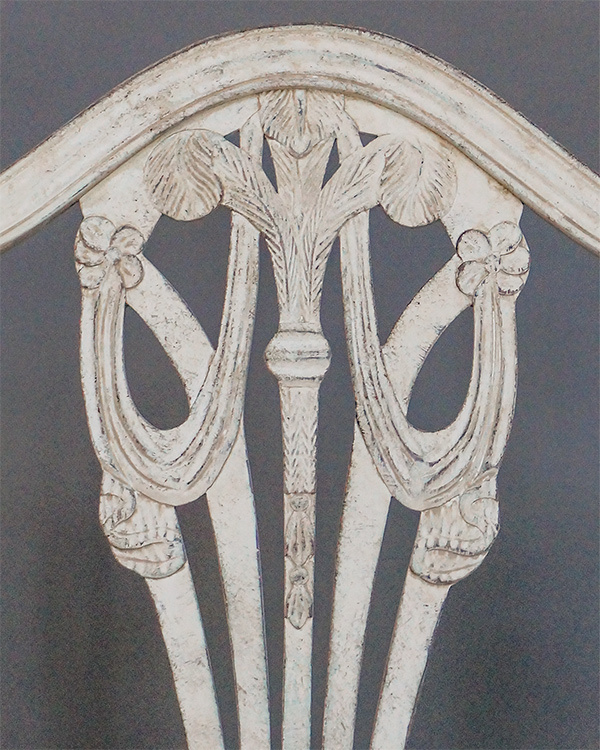 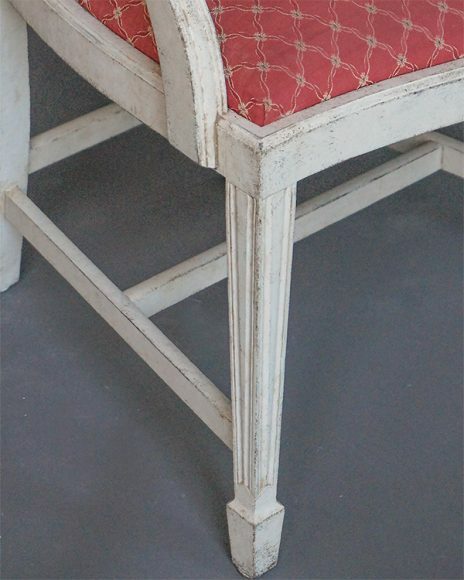 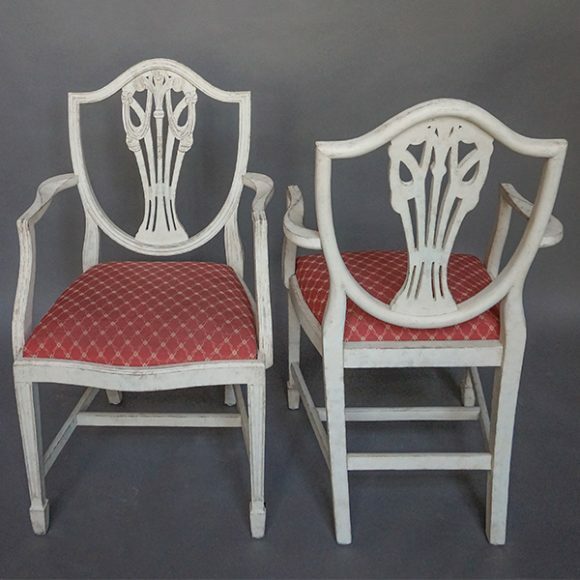 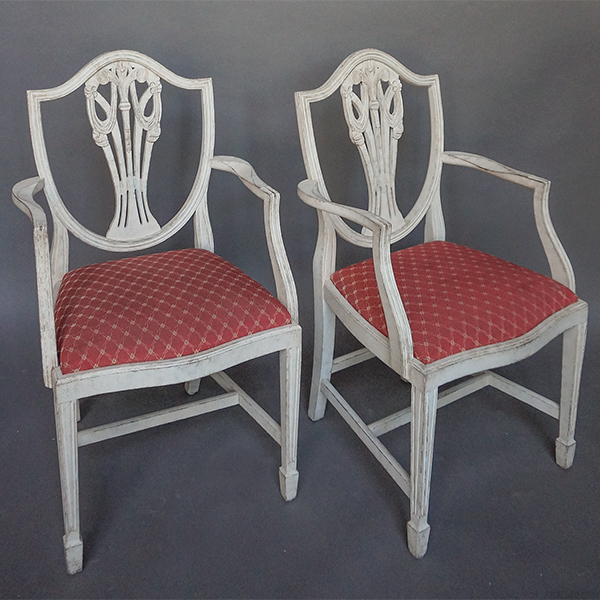 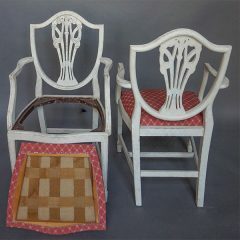 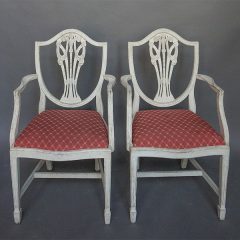 Set of 6 armchairs in the Gustavian style, Sweden circa 1910. 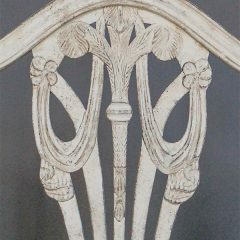 Beautiful carving with feathers, flowers and swags on the shield-shaped backs. 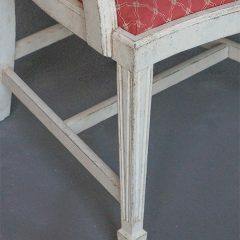 Reeded and tapering front legs ending in spade feet. Slip seats.